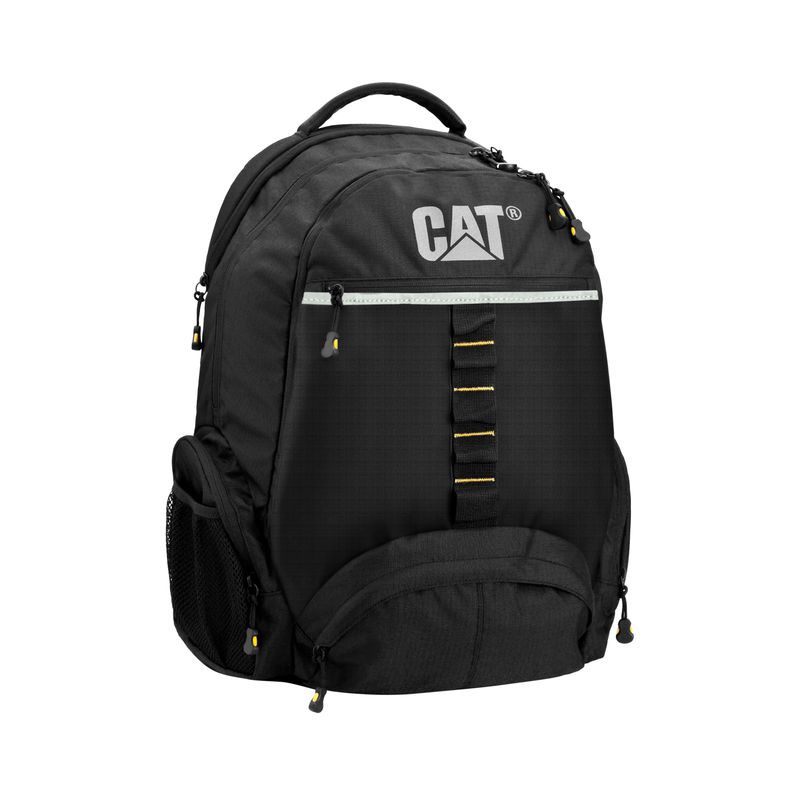 CAT Urban Active Backpack Advanced comes with a main separate zipped 17” laptop compartment, an organizer panel with detachable key chain, and side and front zipped pockets. Rounded shapes with high-performance and water resistant materials create a sporty and dynamic look. It has a reflective logo print and Webbing ”tool-loops” on front panels. 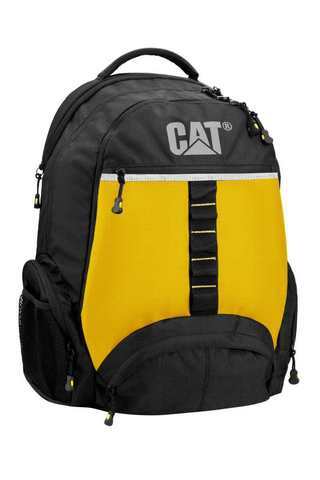 Available Colours: Black, and Black/Yellow. High performance materials like lightweight ripstop polyester, robust 600D polyester with water-resistant backing and rubber material, which have been used predominantly on the bottom panels to make them water resistant and heavy-duty. Free Credits to shop for next purchase: Free credits worth 3% of your total purchase amounts for purchase with RM100 and above in a single order. Subscribe Now to our newsletter and get your voucher code for 3% discounts off your total order. Vibram and Skinners shoes come with 3 months warranty. Summer school bags, Sipesen backpacks, and Polo House luggage has no warranty. Warranty are against manufacturing defects only, it does not include wears and tears, and or damages caused by misuse. For more information on warranty, please view our warranty policy. All items can be returned or exchanged within 5 days upon receipt of your goods if they have not been worn, altered or washed. All items must be returned in their original condition with all tags attached, and must be returned in their original packaging. Please click our return and exchange policy for more details. We currently provide deliveries to Malaysia, Singapore, Brunei, Thailand, Philippines, Indonesia, Hong Kong, Macau, Taiwan and China Only. For any other international delivery, please email us at sales@gotravel-outdoor.com for arrangement. Please click on shipping and delivery for more information.